I’ve been tour VJ for Gotye since July 2011. 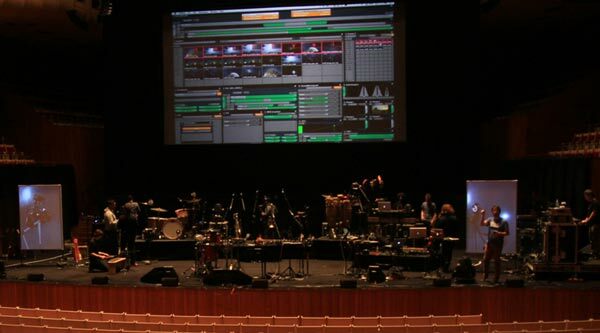 Above, setting up for the first gig at the Sydney Opera house. 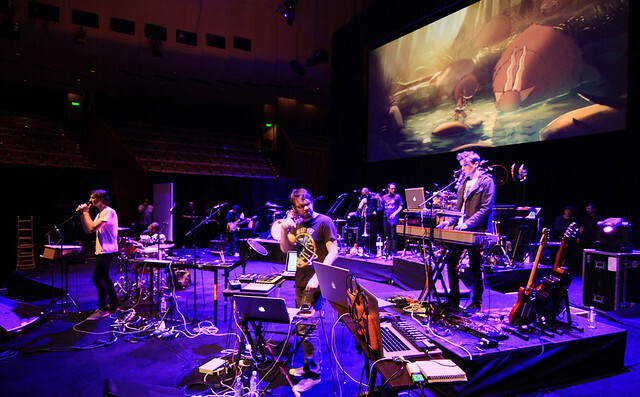 My job description is to ensure all of Gotye’s existing animations (cut to studio length songs) sync up with relevant sections during live performances (some songs are shorter, longer or re-arranged for being played with a live 10 piece(!!) band), and to make sure they all look as good as possible. An especially notable gig was the televised ARIA awards performance, which included the development of a three-dimensional video sculpture. This was a special collaboration between Wally from Gotye, myself and Illuminart – Cindi Drennan / Craig Laurendet.